I lived and grew up in Amsterdam and remember when the mall was built. It was actually smaller then the what you see there. The old part of the mall did not have the second level. That part of the mall came a year or two later. Stores in the old section of the mall are: an arcade, Holdsheimer & Shall (might not be the right spelling)a discount womans store. Millers- a mens clothing store, Gabbys- a childrens clothing store, Card shop, Lumarts - a shoe store, a bank. 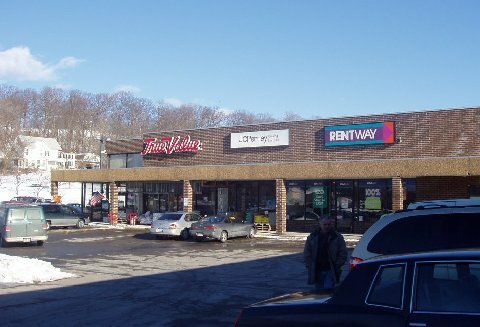 Located in the newer part(Lower level) The Carl Comany with a dinner, Mc Corry's, Tuxego, Travel Agent, Dentist, Present Comany, Book store, Smile a While - A lame Spencer gift type store, a Tee Shirt shop, Fahsion Bug and Fashion Bug Plus and CVS. 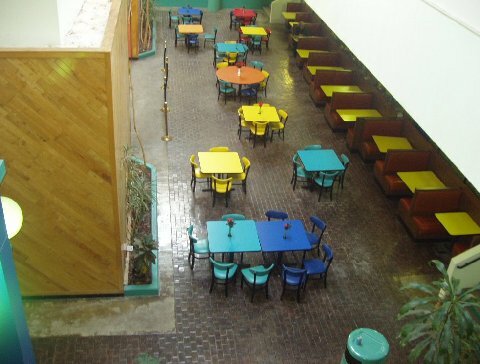 The restaurants in the center were Mr. B's Best - a sub shop, Orange Julious and an Ice Cream Place. The upper lever had Body Sculpture a womans aerobics place, Barrel of Fun - a large arcade, the movies 4 screens, a mail and copy center. 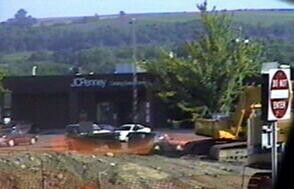 The JC Penny mail center has always been there and the Chinese restaurant as well. Where the True Value store is used to be a Grand Union grocery store. 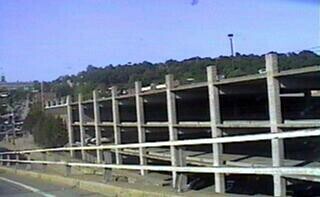 Now titled "The Amsterdam Riverfront Center" the old Amsterdam Mall is now almost nothing but offices. The only stores that remain are a watch repair store, a medical equipment store, a chinese take-out restaurant and a pizza joint in the middle of the second floor. Also on the outside of the mall are a True Value Hardware Store and a JCPenney Catalog Store which can only be accessed from the outside. The mall is fairly small and is actually two stories. The mall is square shaped and you can stand in the middle of either floor and see all of the stores. 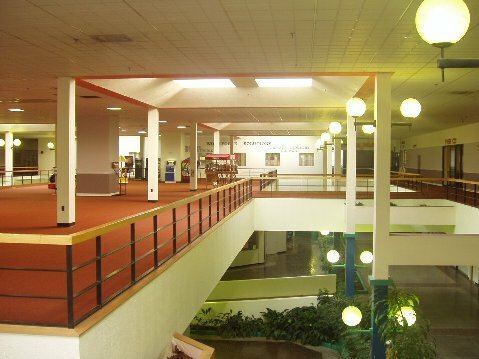 Someone said that the mall once housed a Carl Company which by the looks of it sat in the southern end of the top floor. They also said that there was once a Present Company, but I cannot figure out where that was located. I would imagine that there was a drug store somewhere and maybe a Payless Shoe Source. 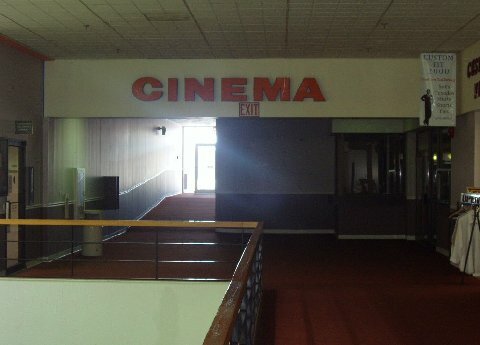 There was also a cinema on the northern end of the top floor, which by the looks of it closed in 1999. 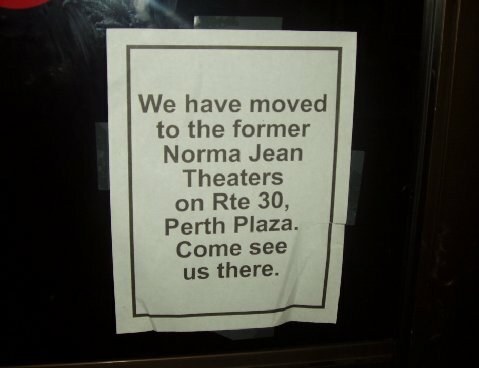 I will try to find out about more of the stores that were once in this mall. Don't make a trip to see this mall unless for some reason you really want to. I am certainly not at all eager to go back. By the looks of it, this mall will continue to house more and more offices, making it no longer a mall. About five years ago, I was party to a proposal to redevelop the Amsterdam Mall by reopening Main Street in Amsterdam. The idea came from Hector, then principal and owner of Plan-It Architecture in Amsterdam, to simply knock down the ends of the mall and redevelop the first floor as an asphalt street continuous with the existing Main Street. We examined the support column spacing, did measured drawings (Hector probably still has these), and advocated for this redevelopment scheme. It's a great opportunity for redevelopment. That mall is currently still DEAD, despite its being the north terminus of a $1.4M pedestrian bridge over the railroad to the redeveloped Mohawk Riverfront. The existing attached (and virtually vacant) parking garage could offer valet parking and a slip ramp from the south side of redeveloped Main Street. 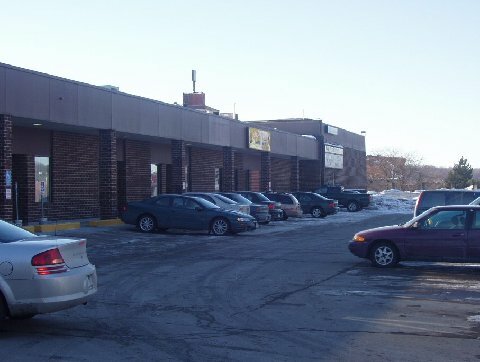 The CDTA bus would go through and stop in the center of the block-long mall. Birds could fly in and out. Parades could march through. Street trees might be planted. It would be the only mall in the nation with a real main street running through it. Plus it would function as a multimodal center, perhaps including the relocation of the Amsterdam Amtrak station with ticketing capabilities eastward from the current location to the mall/parking garage site. Then all modes of transport, including boats during ice-free seasons, would be supported by the "Riverfront Center" - thereby adding another nationally outstanding feature.